Macromolecular crystallography provides the structure of a protein, nucleic acids and their complexes with some bound ligands. This information is an inspirational source of information, which nowadays routinely guides and complements many life science experiments. Efficient crystallization protocols are now available to produce crystals in home labs. Even from small crystals, only a few microns in diameter, data can be collected at the beam lines that are available at synchrotrons. The expert staff at these synchrotrons, with continuous feedback from the user community, has developed impressive infrastructures to collect data from these protein crystals. Routine protocols have been developed to ship these crystals from home labs to the synchrotron beam lines and now it is also possible to collect data remotely from the home lab, without actually being on-site at the synchrotron. The protocols for such remote data collection have now matured. In parallel the synchrotron scientists have developed “pipelines” for automatic data processing as well as for automatic structure determination. Optimal use of these high-tech facilities requires a continuous dissemination of how to use these protocols, combined with continuous educational efforts on the interpretation of their results. 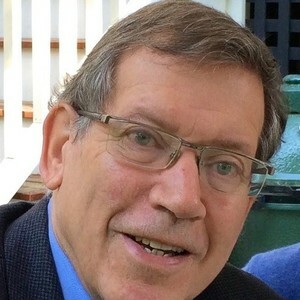 Good understanding is required to be able to judge the quality of the data set that has been collected as well as the quality of the structure that has been determined. In the USA, remote data collection is routinely done, but in Europe this approach has not taken off so much. 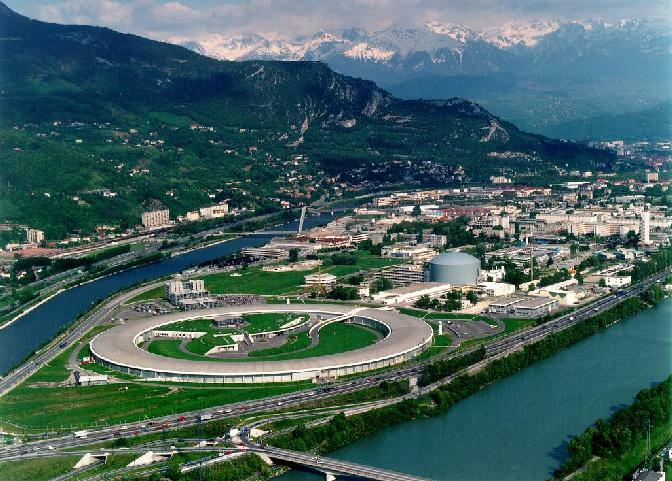 However, in Europe remote data collection is routinely possible at Diamond Light Source (DLS, Oxford, UK; top image of post) and the European Synchrotron Radiation Facility (ESRF, Grenoble, France; image below), and other European synchrotrons are also planning to make this available. From May 14 to May 18, 2018 the Weizmann Institute of Science, Rehovot, Israel and the University of Oulu, Finland are organizing an OPEN-SESAME and Instruct-ERIC workshop (sponsored by FEBS) on “Remote X-ray data collection from European synchrotrons at the Weizmann Institute of Science”. DLS and ESRF have made available generous beam time allowing the students of the course to practice themselves how to collect data, also on their own crystals. Beam line experts are on site to explain and help with the remote data collection, as well as to introduce the impressive pipelines for data processing and structure determination (molecular replacement phasing and experimental phasing). Detailed explanations on how these pipelines can be used are included in the workshop, both during the actual data collection as well as on the next day, where the use of ISPyB tools to analyze the collected data will be discussed. The Weizmann will make available on-site computing resources and during the course there will also be extensive possibilities to practice and learn from experts both data processing as well as using the collected data for structure improvement and validation. This workshop is particularly targeted for PhD students and postdocs having projects aimed at 3D structure determination using biomacromolecular crystals, working at institutes that are members of SESAME (see image and caption below) and/or working at institutes of Instruct-ERIC countries relatively far from European synchrotrons, as well as for students from non-EU countries working at EU institutes who need to apply for visas, restricting efficient access to perform on-site data collection. Students are encouraged to send crystals in advance, which will then subsequently be shipped to DLS or ESRF and used as examples for remote data collection. 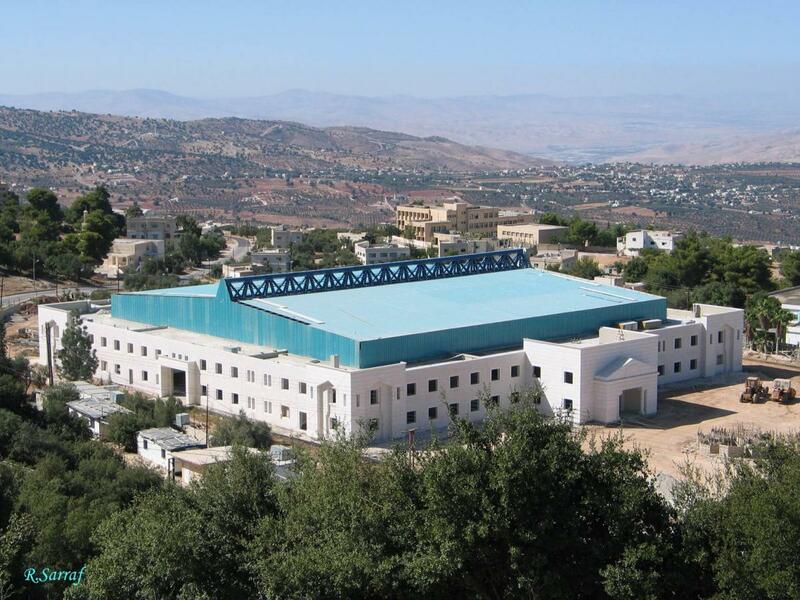 The SESAME project is one of the largest cooperative scientific projects in the Middle East, with member states being Cyprus, Egypt, Iran (Islamic Republic of), Israel, Jordan, Pakistan, The Palestinian Authority and Turkey. The SESAME Synchrotron came online this year and within 2 years there should be a protein crystallography beam line up/running. This workshop will be the first to actually permit students/postdocs in SESAME member states to get hands on experience with remote data collection in preparation for when the SESAME beam line is up. There is no registration fee, and the workshop will cover the costs of room & board at the Weizmann Institute for participants. Travel fellowships are available. For more details, see the registration page of the workshop. The workshop will be limited to a maximum of 25 participants, and the deadline for registration is March 11, 2018. For those unable to make it in person, the meeting will be streamed on the internet via Zoom Video Conferencing. Details of the url will be sent out and posted on the conference website prior to the start of the workshop. Thank you, Joel, for this piece of news and comprehensive description. It is indeed exciting to learn about this recent addition and the chance to access equipment and experiments that used to require travel, time slot allocation and on-site work hours. I believe this is key for a more widespread profit from X-ray crystallography of proteins and complexes, for researchers and labs that are not working on this field continuously but who may complement other kinds of experiments with these tools. This training opportunity, generously offered by the Weizmann Institute, with support from FEBS and other institutions, will be more than welcome!